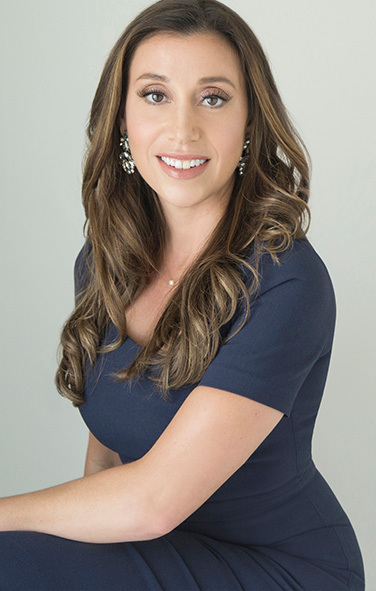 Anya Cintron Stern focuses her practice on issues concerning Florida matrimonial and family law. She attended the University of Maryland, College Park, earning a Bachelor’s of Science in Cell Molecular Biology Genetics. She earned her law degree from Nova Southeastern University located in Fort Lauderdale, Florida. While attending law school, Anya was an active member of the Moot Court Honor’s Society and competed nationally against high-ranked law schools in addition to editing international legal articles with the ILSA Journal of International and Comparative Law. Anya is an experienced litigator having tried well over 50 jury and bench trials. She handles all aspects of matrimonial and family law at the trial court and appellate court level, including contested and uncontested marriage dissolution proceedings, in addition to drafting and negotiating prenuptial agreements, postnuptial agreements, cohabitation agreements and handling actions for alimony, time sharing, child support, relocation, paternity, paternity disestablishment, post-judgment proceedings, marital settlement agreements, adoptions and domestic violence injunctions. Anya is a member of the Florida Bar Family Law Section and a Barrister at the First Family Law American Inn of Court. She is also a published author in scholarly legal publications on issues concerning matrimonial and family law. Anya is actively involved in local community organizations and regularly volunteers her time to children placed in foster care and shelters, in addition to helping low-income families. Exceptional Attorney. Anya Stern has not only has been my Attorney for the past four years, she has been a friend. Someone who really looks out for my best interest as if we were family. As a Contractor I understand the importance of a client’s needs and accessibility. Anya’s professionalism and tactics shape for each client whom all have different circumstances and needs. Anya takes each of her cases very seriously and personal. She puts forth her maximum effort in trying to accomplish the clients best interest and goal. I couldn’t have been any more pleased with her services and I say this with great gratitude. I thank you for all your hard work, dedication, and commitment. I can never repay what you have done for me and my family. Excellent, I couldn’t be happier with her services. Anya and her office have been great. The attention to my case from Anya’s behalf [sic] was excellent, she explained everything perfectly to me and was totally vested in my cause to be able to have shared custody with my son which she made possible. I am the happiest Dad in the world!!!!!! I would recommend her to anyone that’s going thru a divorce. Knowledgeable, efficient and exceptional service. My experience with Attorney Stern was outstanding. She walked me through every step of my divorce and treated me like a family member. Her service was exceptional and her attention to detail was impeccable. 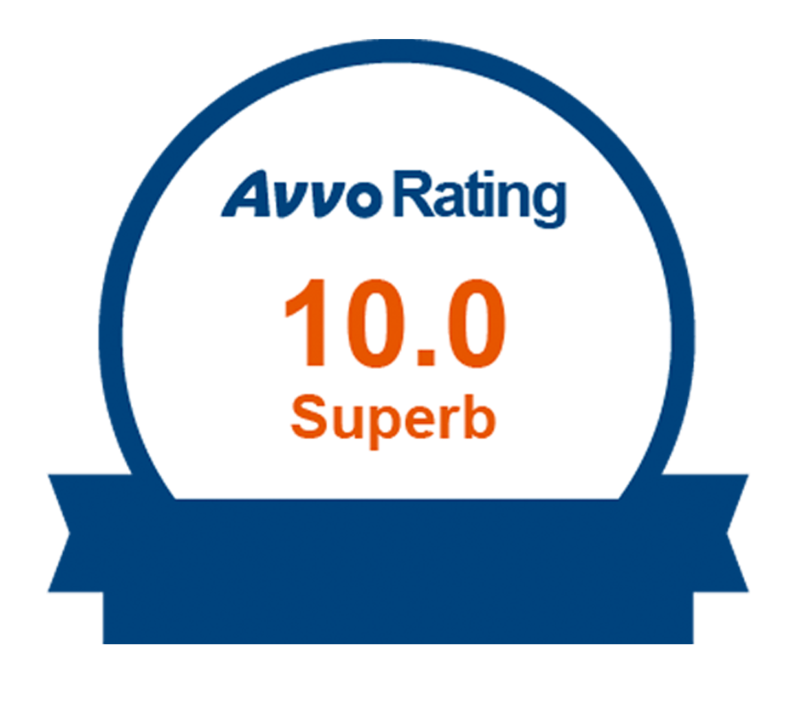 Not only was she knowledgeable in all aspects of the divorce process but she made this complicated seamless from beginning to end. She played a critical role in my support system throughout this process and there is no one else I would hire to represent and advocate for my family. The Best Family Attorney in all of Miami!!!!!! Anya Stern made what was impossible for other attorneys a miracle for me as a father. The way she studied the case and represented me was incredible. She used every detail we discussed during our consultation along with her expertise to present the case. Win or lose, I would have been satisfied. But, it was so much sweeter that we were able to win primary parental custody of my daughter and take her away from an unstable situation right before Christmas. Anya… Thank you so much for your hard work and encouraging me through the whole process. I think every parent going through a family case should have you as their attorney. I’ve referred a few people to you already and I will continue to do so because I know that they have a chance with you in their corner. Excellence in law is embodied by this practitioner. Ms. Stern embodies all that is noble in the practice of law. This is often difficult to find, especially in family court which can be quite contentious. Ms. Stern has a calm demeanor and dignified presentation which is augmented by her keen and insightful mind. She is well organized and diligent in her pursuit of justice. I would recommend her highly. She is a source of pride and dignity in the field of law. Great attorney. Ms. Cintron helped me in a trial, which, she took on short notice. Even so, she overcame, prepared and provided a strong enough defense to [sic] win the trial. I am very thankful and impressed of/with her stellar work. “Dissolution of Marriage” is the official term for divorce in Florida. Because every family is unique, every dissolution is unique. While one couple may possess a number of assets or liabilities that require distribution, another couple may have children and child support must be determined before the divorce is finalized. Prenuptial Agreements are contracts that are drafted, negotiated and agreed upon before a couple marries. Prenuptial Agreements should specify how the division of assets and liabilities are handled both during and after marriage (whether the marriage ended by divorce or death). Prenuptial Agreements should also address the issue of alimony or spousal support. Postnuptial Agreements are contracts that are drafted, negotiated and agreed upon after a couple marries. Postnuptial Agreements should specify how the division of assets and liabilities are handled both during and after marriage (whether the marriage ended by divorce or death). Postnuptial Agreements should also address the issue of alimony or spousal support. Cohabitation Agreements are contracts that are drafted, negotiated and agreed upon between a couple who chooses to live together. Anya is a published author regarding this practice area, having written An Analysis of the Times: An Importance of Cohabitation Agreements to Address the Rising Trend Toward Cohabitation Over Marriage in the Florida Family Law Section Commentator, Summer 2016 publication. rearing and running the household full time Alimony can be awarded to either spouse: a Husband or a Wife. In cases where one former spouse refuses to pay court-ordered alimony, appropriate court action is required to enforce the obligation. A former spouse may also seek to modify the current support obligation to accurately reflect the parties’ current financial situation. For instance, Florida statute provides that a court may reduce or terminate an alimony award upon a finding that a supportive relationship exists between the person receiving the support and a person with whom the recipient spouse resides. Equitable distribution is a legal term for the division of marital assets, property and liabilities between the divorcing spouses. At times, equitable distribution may even be required for property that was acquired prior to the spouse’s marriage such as a home, retirement account or business interest. In Florida, “parental responsibility” and “time sharing” have replaced the term “custody.” Parental responsibility and time sharing are determined after a consideration of what is in the best interests of the children. A parenting plan, which sets forth time sharing arrangements, means of communication, and decision-making responsibility, must be established. Parenting plans may be modified where there is a substantial change in circumstance and it is in the child’s best interest to implement the modification. The income and earning potential of each parent. In cases where one parent refuses to pay court-ordered child support, appropriate court action is required to enforce the paying parent’s obligation. Parent’s may also seek to modify the current child support obligation to accurately reflect the parent’s current situation. A relocation action refers to a parent’s request that a child’s principal address change to a residence that is more than 50 miles away from the child’s current address. When the parents do not agree to the relocation, there are strict statutory requirements that must be fulfilled for a court to consider such a request. Factors that a court will consider include a parent’s reason for moving, the economic circumstances of each parent, the impact on the child, the child’s preferences and the relocating parents willingness to maintain the other parent’s relationship with the child. The filing of a paternity action is one that typically requests that the court determine the legal father of a child or children. Issues of child support, parental responsibility and the establishment of a parenting plan and time sharing schedule require a resolution after paternity has been determined. In Florida, the paternity of a child may be established through a marriage, an acknowledgment of paternity, an administrative order via genetic testing, court order or legitimization. The procedure of disestablishment of paternity refers to a court declaring that a father is not the legal father of a child and consequently determining that the individual does not have any obligation to continue paying child support for the child. It is important to note the distinction between a “biological father” and a “legal father.” A “biological father” refers to an individual who physically fathered the child. A “legal father” is an individual who has the rights and responsibilities to the child. A “legal father” is the individual who has an obligation to financially support and provide for the child’s needs. A legal father who wishes to disestablish paternity and terminate an existing child support obligation must meet strict Florida statutory requirements in order to do so. Florida law permits step-parents to adopt their step-children so long as certain procedural steps are required. The court will require that the mother, and in some cases, the father, have provided consent. Otherwise, the person seeking the adoption must show that consent is not necessary, such as when a biological parent has terminated their parental rights. Once the court enters an order approving of an adoption, the parent who is not involved in the adoption process will have their parental rights terminated (if their rights have not been previously terminated). This would result in a termination of child support orders, in addition to that parent no longer being legally entitled to share time with the child or make childrearing decisions. Step-parent adoption can also have legal consequences as well. For instance, if the step-parent divorces their current spouse, the step-parent can still be held responsible for child support for the adopted child, even if the child is not his or her biological child. An act of domestic violence occurs when a spouse, former spouse, relative by blood or marriage, or a parent of a common child, places a person in imminent threat of physical or bodily harm, or the physical or bodily harm has already occurred. An injunction is sought when one seeks protection from allegations of domestic violence. The alleged assailant is entitled to proper notice and an evidentiary hearing to dispute the domestic violence allegations. My article is page 24-26. Social Security Retirement Benefits: Marital Property Subject to Division Between Spouses? My article begins on Page 10-12. The publication is the Florida Bar Family Law Commentator, Spring 2017. My article begins on page 9. The publication is the Florida Bar Family Law Commentator, Winter 2018. 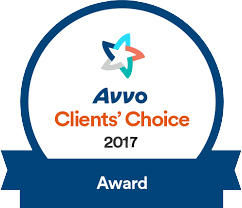 Top Attorney Rating for Avvo.